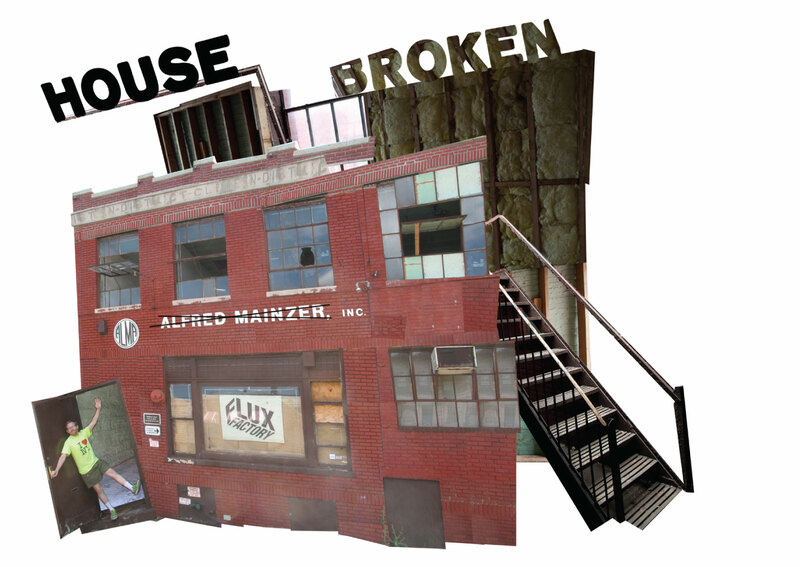 Take a summer ride with Flux Factory! You get on a bus, you don’t know where you’re going, and then something happens. Going Places (Doing Stuff) Flux Factory invites New Yorkers to take a tour with artists who have become tour guides for the city. For six weeks, the general public can sign up for personally designed artist tours that range from a single afternoon to 3 days. The content of the tours are entirely up to the artists, though where you will be going is secret. Even to you! Each tour has simply the following information: the artist, a title, a duration, and a list of needed supplies. In other words, when you sign up for a tour, you know what to bring and how long you will be gone, but you will have no idea where you are actually going or what you will experience. All tours will meet at 38-38 43rd Street unless otherwise indicated. About the artist: Matt Levy is a born-and-bred Brooklynite (represent! ), a licensed NYC tour guide, an ex-poet, current romantic, urban historian and spectacle enthusiast. His blog, Action & Direction (the two major requirements for a fully adventurous life) is mostly about NYC cultural history and spectacle. He is also the event coordinator at the City Reliquary Museum in Brooklyn. His knowledge of New York City and his rambunctious personality make him the greatest guide you could wish for. PROVIDED: Safety goggles, gloves, respirators and an MRA s’mores kit. About the artist: In addition to his own work, Douglas Paulson joins Copenhagen’s Parfyme to become Parfyme Deluxe, and collaborates with Ward Shelley. Based in Long Island City, Queens, he works in New York and Europe, and got his BFA from Tyler School of Art in 2003. Among other things, his work deals with urban exploration on land and water, and turning everyday experiences into extraordinary adventures. BRING: $10-$100 in small bills and a camera, booze whatever. About the artist: Annie Reichert is from Seattle, New Jersey, and Ohio. Annie enjoys photography, eavesdropping, gold paint, fake blood, hiding spots, good storytellers, and talking about building things. Professionally, she keeps busy but rarely profits from it: her pictures have been published in USA Today and US News & World Report for free! As an artist, she is interested in making oblique references to her childhood, hoping that no one will notice. Annie has a BA in Photography and Film Theory from Antioch College. These days she is working with photo, video, fabric, and food. Wandering restaurant mostly caters to omnivores but vegetarians and vegans are welcome to attend. About the artist: From March 2006 to January 2008, Gary Wiseman produced 30 interactive performances under the heading Tea Project in collaboration with Red 76, Portland Institute for Contemporary Art, Cooley Memorial Gallery at Reed College and hundreds of performers and participants. Wiseman is currently engaged in numerous smaller scale collaborations and ongoing projects such as Personal Favorite Places (an ongoing exploration of the world through the experience of strangers), Ephemeral Temple Ltd (Purveyors of high quality low overhead temporary sacred-space), Penny For Your Thoughts (with Amy Steel) and T-Folk: Granville and Reginald Sing the Sacred Songs For You which debuts at the upcoming Artcity festival in Calgary, Alberta. Precise instructions including dress code and what to bring will be send out with the RSVP. August 16 and 17th – double tour! A secret two-day bus tour. Click here for more info! GOING PLACES (DOING STUFF) is made possible with public funds from New York State Council on the Arts, New York City Department of Cultural Affairs, and Queens Council on the Arts, as well as generous support from the Andy Warhol Foundation for the Visual Arts, Carnegie Corporation of New York, and Materials for the Arts.